William Waters in Student Life on 3 February, 2016. 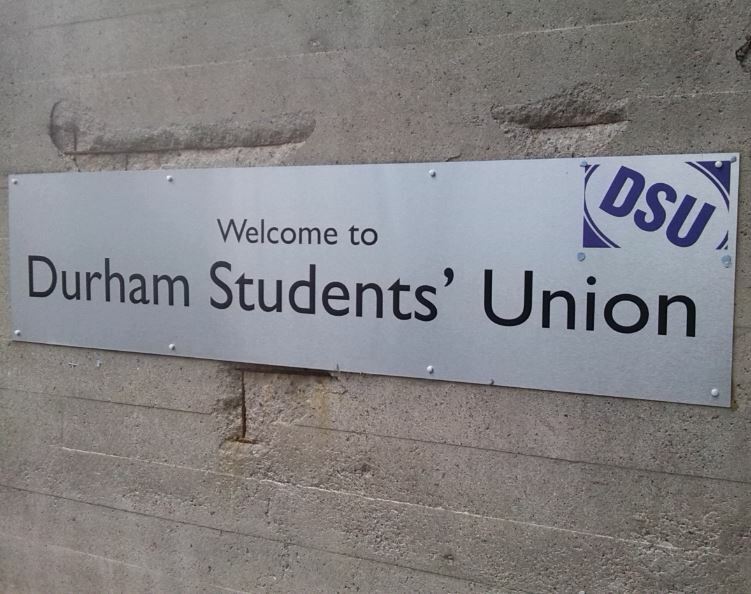 The DSU held a meeting on Tuesday evening to discuss student concerns about the rise in accommodation fees. Students gave their views on the latest increase in accommodation fees, and the response of both the University and the Students’ Union, in a sometimes ill-tempered zone meeting at the Science site on Tuesday evening. Around fifty students attended, but many appeared dissatisfied by the absence of any representative from the University and the questions discussed. The meeting opened with an introduction from DSU president, Millie Tanner. She explained that the meeting, which the University had asked them to hold, was about the accommodation fees for the 2017/2018 academic year, whereas the meeting last term was on the subject of the fees for 2016/2017. She reported that that meeting had condemned the increase in fees, but “The University basically didn’t listen”, although they seem to be much more “keen to hear student voices”. Students were then divided into four groups to discuss questions for which the University had asked for their views. These concerned which college provisions students would prioritise, differential lets, and grants funding. However, some of those attending criticised the questions, wondering if they were “leading”, and if the University were simply looking for justification to cut services. Referring to students’ opposition to increasing fees, one asked “What more do they want to know? Haven’t we made it clear?” Others criticised the lack of University representation at the meeting. The President responded that “I can’t be accountable for the University” and that ranting at the Vice Chancellor would “not be very productive”. There was also concern that the DSU had given up on changing the 2016/2017 prices. The idea of demonstrating on open days was mentioned, to which Millie Tanner said that she had not “had time to think about it”, but was willing to consider it. The meeting then split into groups to discuss the questions, before offering feedback. There was a general feeling that differential lets were a bad idea, as they tend to split people up based on socio-economic background, while most people thought that there was no need to cut college services, and that cuts to mentoring and welfare would disproportionately affect disabled students. On the topic of grants, the problem of being too rich to get support from the University and not rich enough to get help from parents was raised. Yet the main theme of the responses was that these were not the questions that students wanted to discuss. One man even said, “These questions are insulting”, and that he had hoped to be talking about topics such as what position the Union would take in negotiations with the Vice-Chancellor. Responding to the criticism, Millie Tanner said that “These questions were literally asked by students at the last meeting” and that they would inform the University of the response that they had received this evening. As the evening wore on, criticism was increasingly directed at the DSU. A member of the St. John’s MCR executive committee said: “I personally feel quite let down by the Union… we did think we were going to see University staff”. Others argued that the event had been poorly advertised, and that the communications sent out by the Union gave the false impression that students would have the opportunity to address University decision makers. The Union President apologised, saying “I’ve got it: the questions were bad,” and that the miscommunication was an “honest mistake”. As questions from those attending became increasingly pointed, she appealed for civility. A college Students’ Union representative defended her, claiming that “the last twenty minutes have been an attack on Millie for no real reason”, to which one of those criticising the Union said: “I am sorry if this has come across as an attack… this is how democracy works”. Another student said that he wanted to see the University challenged to cut spending on areas such as research, instead of services for students. He argued that “if the labs run out of chemicals, then we can show the government what the impact of starving Universities of money is”. Union officers also drew attention to the importance of student engagement with the issue. One encouraged everyone to come to assembly meetings, and when a question from the floor asked if the University could push through price increases despite overwhelming opposition from the student body, it was pointed out that, “All students are against a rise in fees. But not all students were at the protest. Not all students are in this room.” The lecture theatre was about a fifth full. The meeting ended on a more conciliatory note, with Millie Tanner stating: “I would rather this than six people turn up and say ‘I don’t know’.” She offered to address individuals’ concerns in person, and then the meeting broke up, having lasted an hour and a half in total.